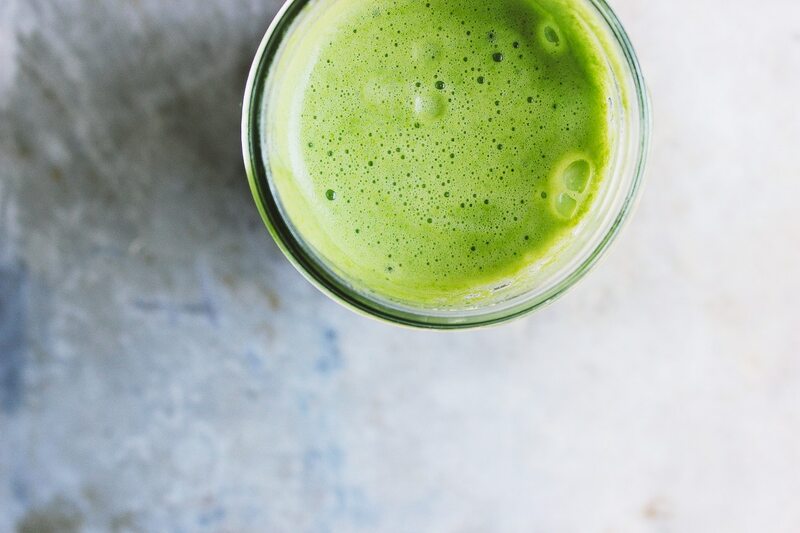 A basic green juice recipe with kale, celery and lemon. And tips on how to make the best green juice and why you should drink it everyday. Before becoming a health coach and being diagnosed with celiac disease. And before incorporating a daily green juice into my diet – I was a mess. I was struggling physically and emotionally, but I didn’t always let on to that very easily. On the outside I was seemingly confident, content and sociable. But on the inside I was anxious, depressed and irritable. Physically, I suffered from stomach aches, gas, bloating, acid reflux, general fatigue, and debilitating canker sores. The canker sores were unbearable and by far the worst out of all my ailments. I was living in Denver and working as a special education teacher. I noticed a lot of my students were eating special diets like gluten-free, corn-free, sugar-free, dairy-free and the list goes on and on. It wasn’t really until this moment that I put it together that what you eat effects your entire you. This was the moment that sparked my interest to go back to school for nutrition. That and the basic principles that my parents taught me growing up that eating good food matters. Especially fresh vegetables. And just like that the path to my career in health and wellness was born. Flash forward a few years and now I am a health coach encouraging my clients to drink a green juice everyday. If you have the ability and access, I believe that drinking one green juice (or smoothie) a day will help you maintain optimum health. I get a lot of questions about how I make my green juice, green juice ingredients, what juicer to make and so forth. Below are a list of my most frequently asked questions. If I didn’t address yours, please leave a comment below and I’ll do my best to help you sort it out. Why should I drink green juice? When you drink green juice you are flooding your body with chlorophyll and alkaline rich foods. Chlorophyll, the stuff that makes plants green has been shown to increase red blood cell count, improve circulation, calm inflammation and oxygenate the body. It also has been proven to counteract all of those harmful free radicals that are lurking about. Is green juice the same as a green smoothie? No. 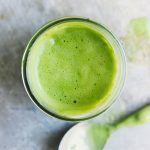 Green smoothies are blended beverages, made by combining green leafy vegetables, fruit, ice and other plant-based protein superfoods like chia, hemp and flax seeds. Green juice is when you run green vegetables and a small amount of fruit through a juice extractor that separates the juice from its fiber. You may be asking yourself. But isn’t fiber good for you? Yes, fiber is good for you, but when you remove it you are lightening the load on your digestion. So in turn these nutrients are able to pass directly into the bloodstream and within minutes our bodies receive optimum fuel to feed our cells and help restore our immune systems. Can I put fruit in my green juice? Yes, but in moderation. Too much fruit juice will result in a very sugary liquid that will spike your blood sugar promoting fat storage. The base of your juice should be green vegetables. Shooting for seventy percent is a good idea. Also worth noting root vegetables like beets and carrots are very high in sugar and should be used sparingly. What is the best juicer for me? There are two types of juicers. Centrifugal and masticating. Centrifugal juicers utilize a fast-spinning metal blade that cuts the vegetables at a high speed, while separating the juice from the fiber. They can generate some heat and excess oxygen, creating some destruction of the enzymes in the fruits and vegetables you’re juicing. This juice is best to drink immediately. But it can be stored in an airtight container, in the refrigerator for up to eight hours. I use the Breville Juice Fountain and I highly recommend it. Masticating juicers or cold-pressed juicers, are typically more expensive than centrifugal juicers. They crush and then press the fruit and vegetables for the highest juice yield. This kind of juice takes a much longer time to make, but the product is of slightly higher quality. This juice is best to drink immediately, but can be stored in an airtight container, in the refrigerator for up to twenty-four hours. 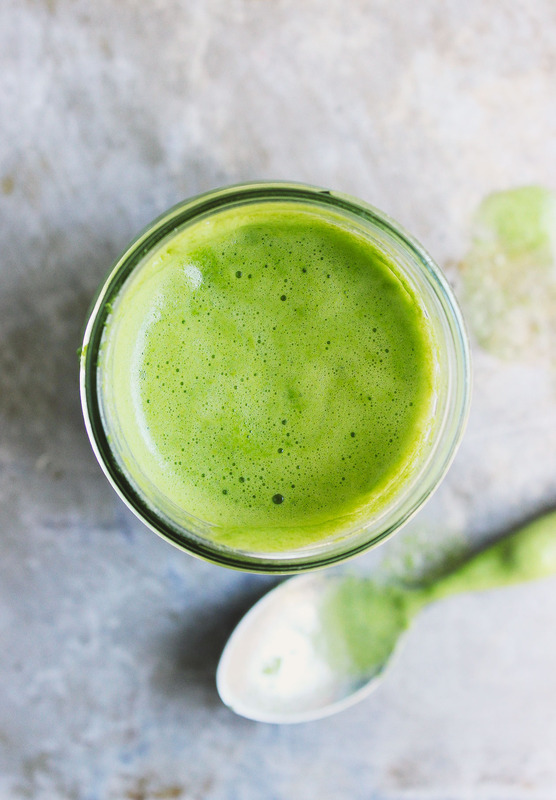 Run the kale, celery, cucumber and apple through the juicer. Then run the lemon through (this helps to clean the machine in the process). Serve immediately (or store accordingly) with or without a handful of ice. More healthy drinks you will love. « Transitional Stuffs + a love letter to my csa! I stumbled onto your blog via Instagram. Glad I did! Wow, what a blog entry – written from the heart. It must haven taken you so long to put all of this together and it is much appreciated as it makes for a beautiful read. The green juice looks to die for. Thanks again for sharing and I look forward to reading your future posts. Hi Kimberly – I’m so glad you found me, xo. Thanks for sharing this recipe and information! I loved reading your story! I’ve been gluten-free for a year and a half now and although I’m still facing some health issues, I’ve seen a huge difference. Can’t wait to peruse your blog some more. Hi Wendy – I’m glad you found me. Get those nutrients flowing, xo! I totally agree that green juice has magical health benefits! I have experienced it personally.